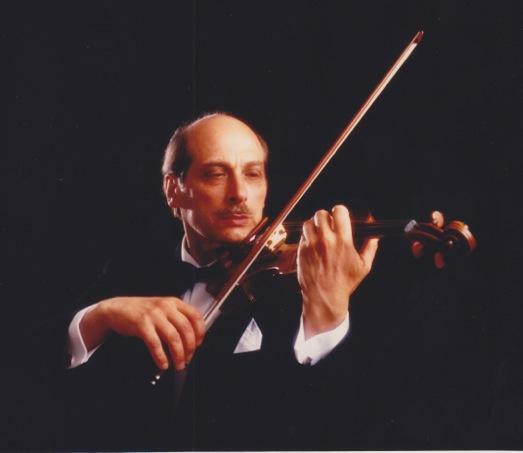 Albert Markov, violinist, composer, teacher, and conductor. He is the only concert violinist of the 20th and 21st century who created major compositions like Opera, Symphony, Violin Concerto etc. which are performed internationally and commercially recorded. Following performances with symphonies and solo appearances at Carnegie Hall in New York, Markov performed at the Kennedy Center in Washington, D.C. and played to great media acclaim in concert halls in Chicago, Los Angeles, Philadelphia, Houston, Toronto, Montreal and other cities of North and South America, Europe, Asia, and Africa. Stanislav’s recordings and performances, including his solo CD debut on Naxos/Sono Luminus labels, have been broadcasted on numerous radio and television channels including WDR Köln, RTS-1 Belgrade, CBC Canada, Radio Klassisk Denmark, Interlochen Public Radio, WFMT Chicago Classical, etc. He has also recorded for Decca and Dacapo labels as soloist and Concertmaster of the Aarhus Symphony Orchestra. During his solo career he appeared with such conductors as Kurt Sanderling, Nathan Rachlin, Kirill Kondrashin, James Conlon, Neeme Jarvi, David Zinman, Andrew Litton, Lukas Foss, Sixten Ehrling, Gennady Rozhdestvensky, Kazuyoshi Akiyama, Sergiu Comissiona, Sir Charles Groves, and others. After almost 20 years of absence from the Russian concert stage Markov entered the music scene again in Moscow in May, 1994. His recordings are on Sunrise, Melodia, Musical Heritage Society and RMS labels. His compositions have been published by G. Schirmer (USA) and Muzyka (Russia). He has written 3 Operas (Tamara,Queen Esther, Checkmate) Symphony (Kinnor David) Violin Concerto, Formosa Suite for Violin and Orchestra (both recorded by Markov with the Russian National Orchestra), Six Rhapsodies for violin and orchestra,Sonatas for Solo and Duo Violins, , Violin Caprices, numerous Cadenzas and arrangements of works by various composers.During 20 years since 1983 Markov was the Music Director of the Rondo Chamber Orchestra appearing both as a soloist and conductor. He was a founder of Music Festivals in Canada (Nova Scotia) and Vermont (Bennington) from 1995 to 2007. Albert Markov regularly performs in joint concerts with his son Alexander Markov. He teaches at the Manhattan School of Music (since1981). Among his students are prizewinners of the International Competitions and members of the leading orchestras. Markov’s Violin Technique and Little Violinist (G. Schirmer, USA) as well as his System of Violin Playing (Muzyka.Russia) are worldwide recognized violin methods. In May 2015 Albert Markov published book “Performing Analysis of the Six Sonatas and Partitas for Violin Solo by J.S.Bach”. He also published numerous musical articles, memoirs and short stories.